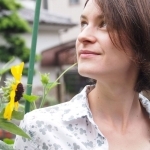 Anika would have never thought that quitting Japanese studies at university and becoming a gardener would bring her to Japan. No one did. But however, she made it! This is about her beginnings of working there with Japanese gardens. My love for Japan began with the animated series Sailor Moon broadcasting on TV for the second time in Germany but my love for plants and gardens is even older. When I realized that University life wasn’t for me I decided to follow my other passion and worked with plants and soil. In Germany, we are lucky that the Bauernverband (association for agriculture) has a partnership with the Japanese Agricultural Exchange Council. Every year, they invite five students of agriculture, and also gardeners if there are still open spots, to JapanI only found out long after I have decided to become a gardener. Three and a half years after my graduation, I applied for this internship to stay with a host family and to work in Japan for six months. I was accepted, and in late April 2012, for the second time in my life, took a flight towards the island I appreciated so much. 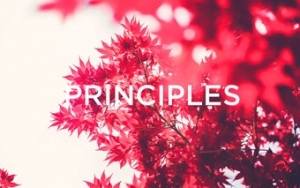 My introverted self lived among the most different people and cultures in a training camp for one long week before the adventure of working in a Japanese gardening company should begin. It became the most exciting and joyful time of my life. Thankfully I didn’t expect anything special in the beginning and therefore wasn’t disappointed to see me on my first day weeding in front of a huge apartment building — the same work I did in Germany every day. I was surprised that I even had to pull out the same weeds! Except for “dokudami” (Houttuynia cordata) which is seen as a weed in Japan and is cultivated as an ornamental plant in Germany. “Giersch” (Aegopodium podagraria), by the way, faces the opposite — a weed in Germany and an ornamental plant in Japan! The most frightening experience in these first days was when I got lost after lunch break: suddenly all my co-workers were gone and I didn’t know where the next weeding place was. But soon I learned that the surroundings of the apartment complex on the opposite side of the street were also maintained by my new company and someone found me and brought me there. A lot of my days were filled with usual weeding works in private gardens or around apartment buildings, but my company also did something great. Someone there was practicing for one of the three grades of a gardener’s training and I was allowed to participate. First, I firmly believed that I had to take the test too and panicked because I couldn’t read the example questions, and there were so many tree names to learn! But after I took great efforts to at least study the names, I found out that I wouldn’t participate in the actual test. However, I am really thankful that I got the opportunity to train how to build a bamboo fence and a water basin setting (tsukubai) like a Japanese gardener apprentice and learned so many Japanese names of trees, shrubs, and other plants. It might sound weird to the German gardener, but in Japan, the globally accepted botanical names of plants are of less importance and completely ignored in tests and in the garden. 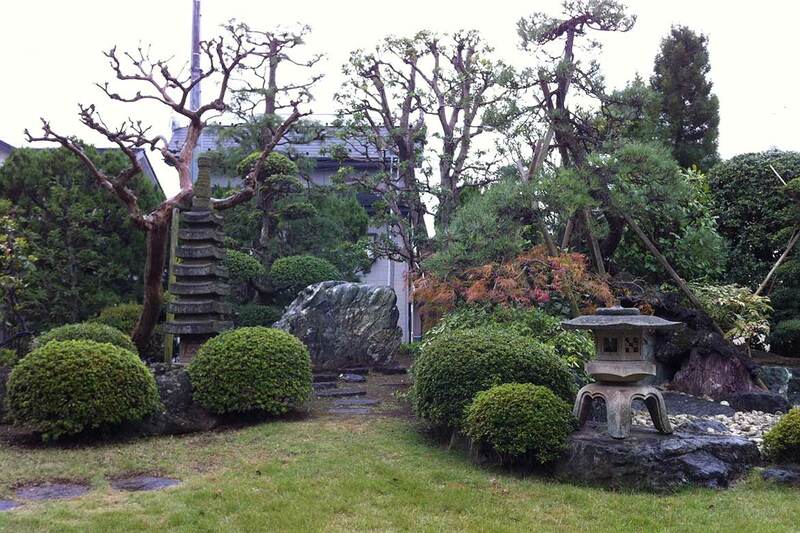 Many might think that I was able to work in gardens similar to what is commonly thought of as a Japanese garden. However, this is not true. 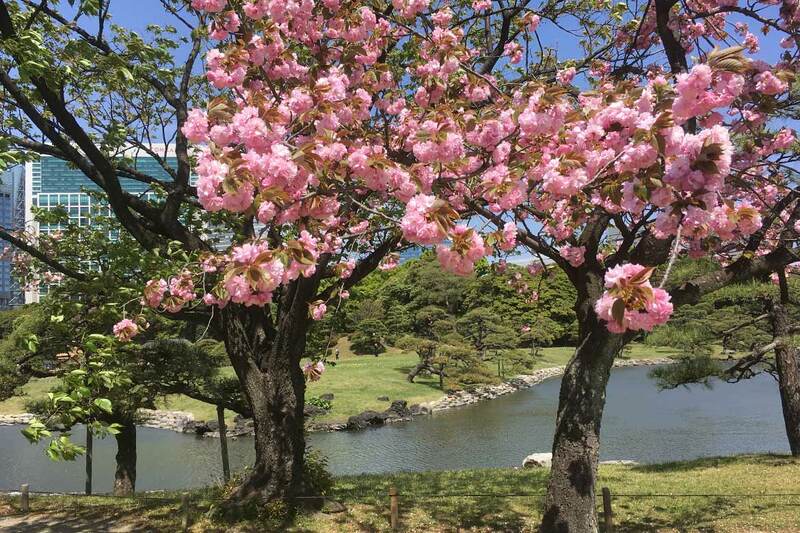 I was working in a small city next to Tokyo in Saitama prefecture and in this area almost no one has a Japanese garden at home as we know them from pictures. 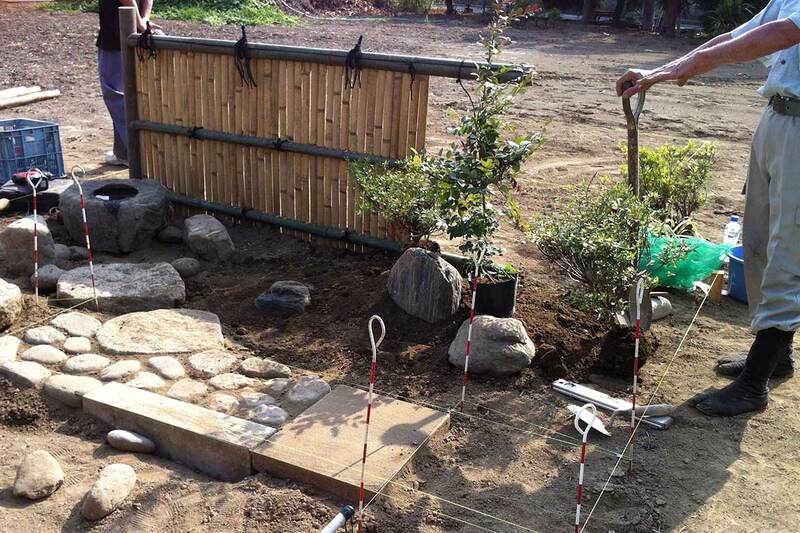 A Japanese garden is expensive in construction and maintenance. What I usually saw was a collection of trees and shrubs and bare ground — an appearance completely different to the gardens we know in Germany, where in summer, every centimeter of the ground is covered with a plant if possible. 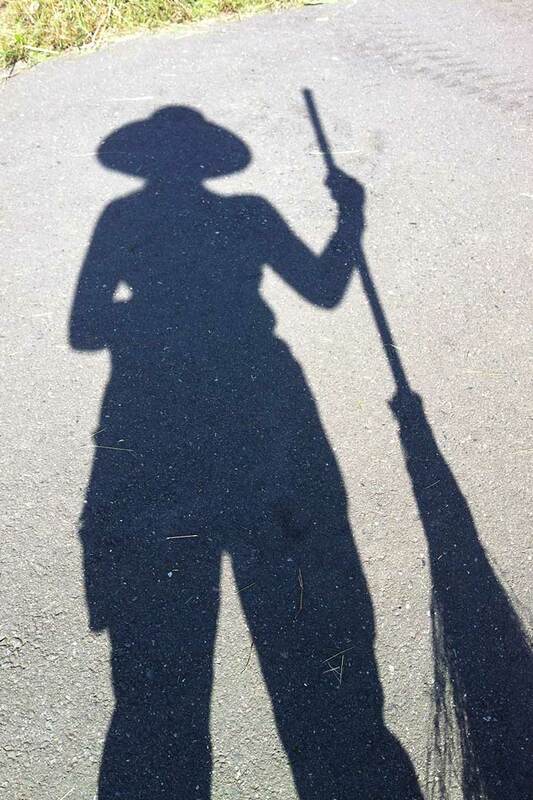 I never saw myself wiping a garden with a broom before! But in Japan I did and found it very comfortable after only some months when I had learned to handle the bamboo broom right. In Germany, we usually used rakes or wide but narrow brooms, which are good to use on pathways made of asphalt, but really only there. I have to admit, if I ever go back to Germany to work as a gardener, I would never leave the house without a bamboo broom anymore! Spring and an unexpectedly dry rainy season went by, and the typical hot Japanese summer hit me completely unprepared. I found myself working on riverbanks in the blazing sun with no protection granted by trees like the months before. Two days in a row I spent the whole lunch break, one hour in Japan, sleeping on the floor to get rid of a light sunstroke before returning to work for the afternoon session. After that, I decided to drink more water, although there was no toilet available for kilometers! But I learned very fast that I didn’t need one when working under the burning sun. Six liters of water went right into a good amount of sweat. Needless to say that I now think the best way to lose weight is to work outside in Japanese summers. The physically challenging summer might have been a sign, but from this time on I was truly integrated into my company and had to face the sides of it, which I never wanted to experience, too. Although the working style in Japan is different from the one in Germany, I was able to adapt to most of the routines. However, there are two things I will never accept and which unfortunately were also the reason why I changed jobs in the end: I always was frightened by the way chainsaws are used in Japan. There are no security rules and clothes in place. 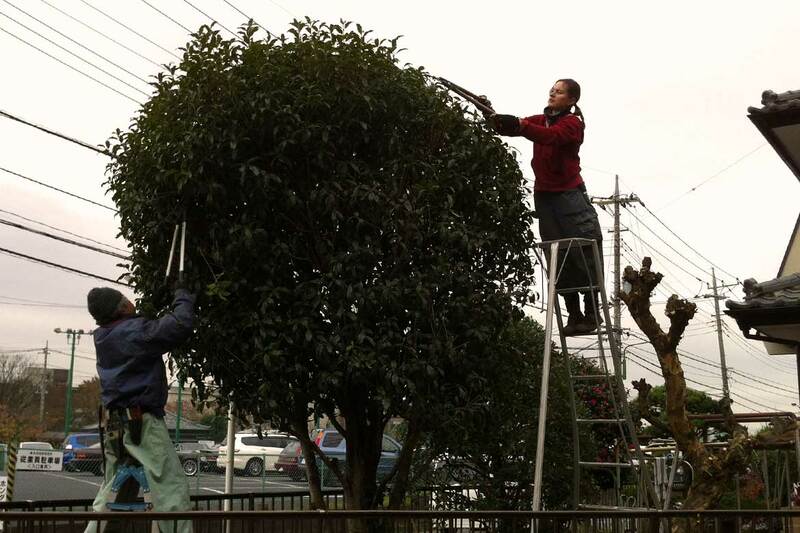 Everyone climbs a tree with the chainsaw in hand, standing on really thin branches and cutting the treetop one-handed. The only protection they have is a helmet. I never agreed on working with a chainsaw in Japan. What I couldn’t completely avoid was contact with herbicides and pesticides. Usually, it is accepted as common sense that what kills bugs and plants is also not good for the human body, can stick inside and sum up until the following generations might face a growth of people sensitive to particular substances or even deformations. 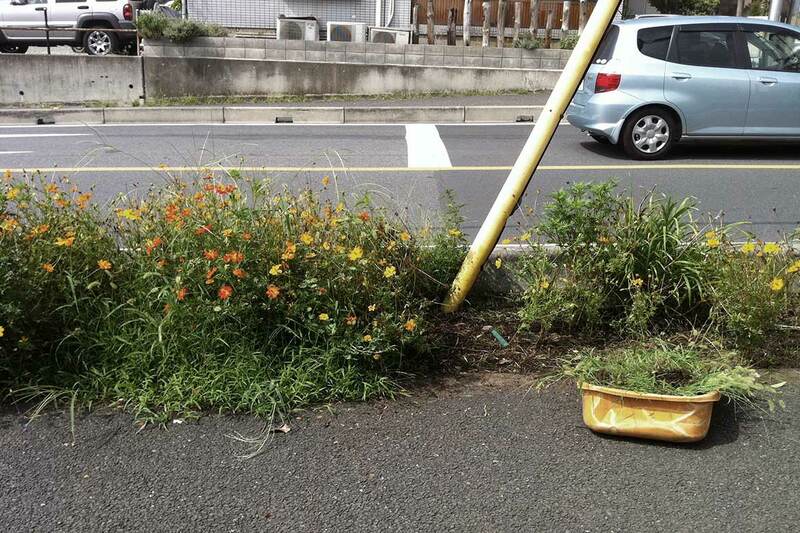 Still, in Japan, everyone is spraying pesticides and herbicides without protective clothes and appropriate masks. While most of them, however, spray with the wind, I had the bad luck of a colleague who sprayed against it and showered us with herbicides. 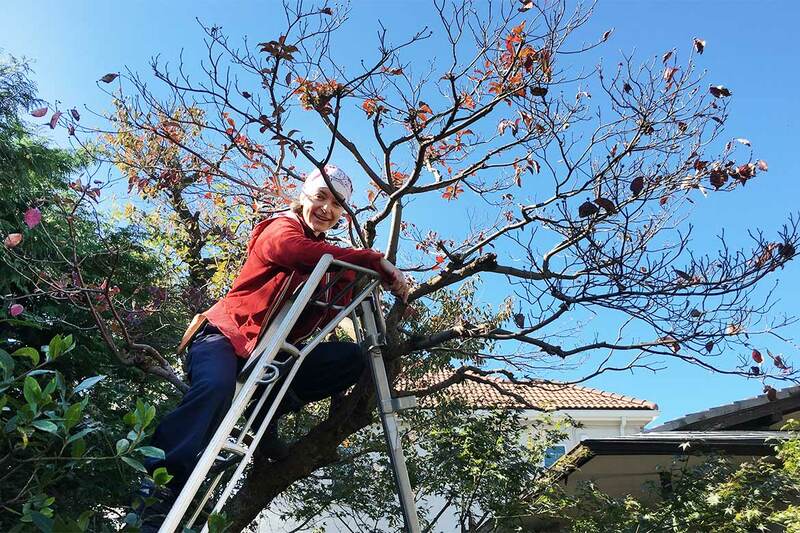 That was the initial incident why I chose to leave the company, loved so much after two years working there, and did the next step by joining a garden design company in Tokyo. There, things are not always easier, but I am not risking my health anymore. Sort of. 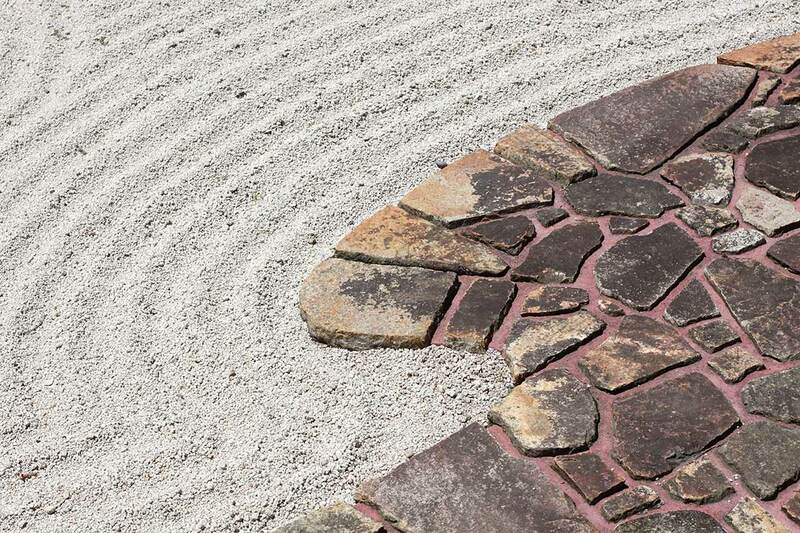 While I really miss working outside every day, I am now lucky to be able to actually work with Japanese gardens, although we are not designing them. My company has a small sub-company which is researching and writing about existing Japanese gardens in Japan in English. And as I am the only one in this company who is able to write and read in English, this sub-company is, so to say, my own. My life has turned a lot after coming to Japan. Not only that I decided to stay in a country where I will possibly never master the language (I tried! 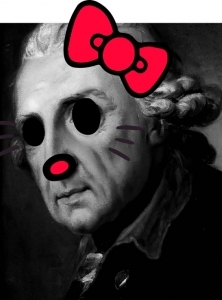 ), I also became so much more than a gardener which is wonderful. These days, I literally am the all-mighty workforce of this company, handling everything from cleaning to serving tea to repairing furniture or my boss’s computer and doing the internet stuff. All while still working in gardens and with gardens. I am very looking forward to what the future holds! 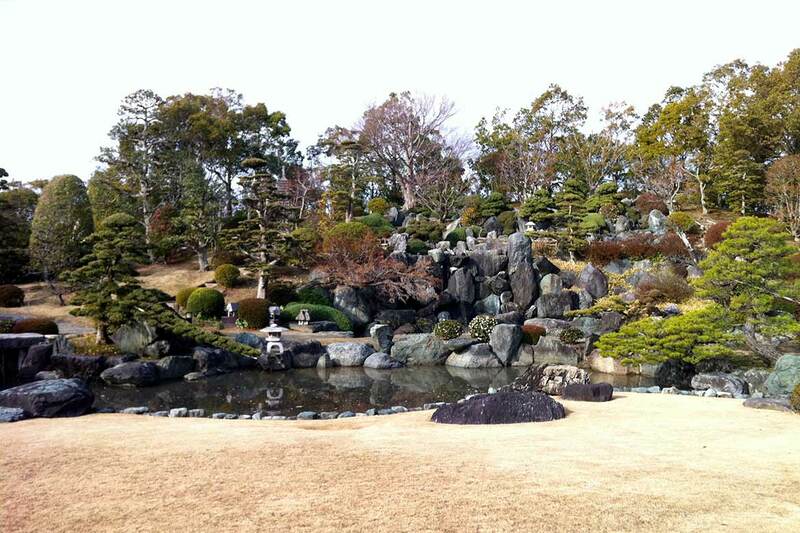 Until then I continue to share the beauty of Japanese gardens to the world. 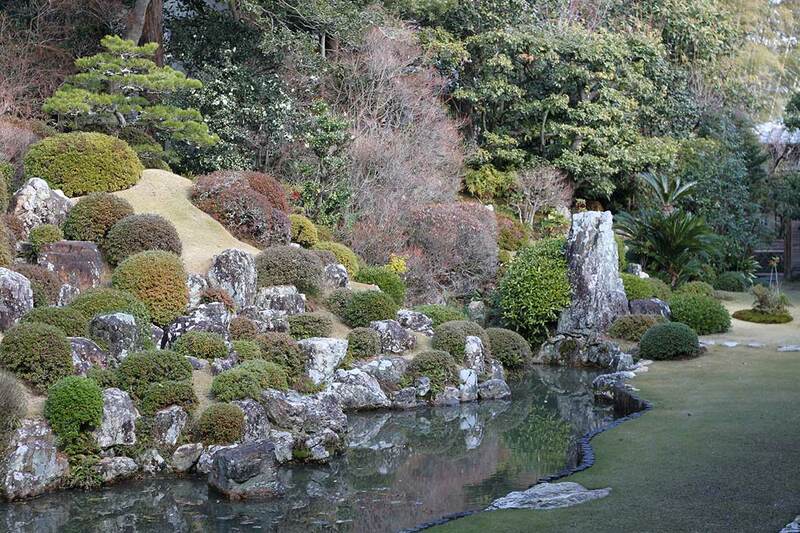 Your perfect guide to the world of Japanese gardens. 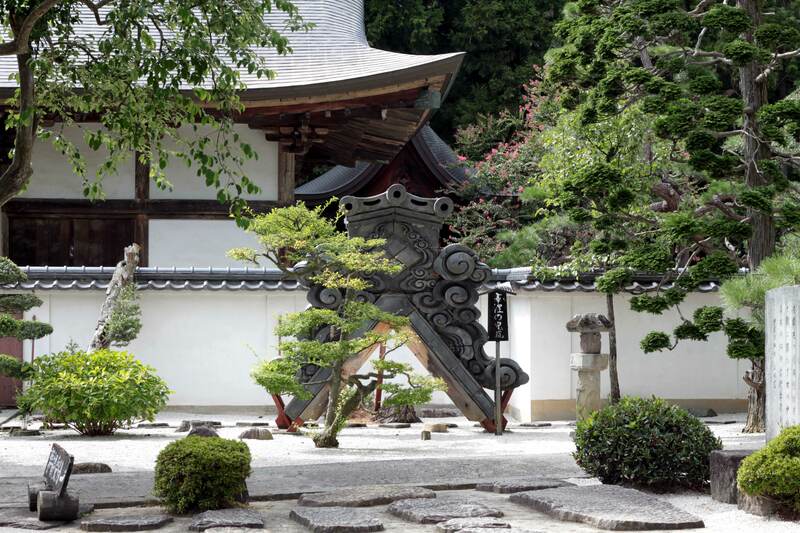 As a professional gardener, Anika apprenticed under local landscape designers for two years and learned the art of Japanese garden design, construction, and maintenance. Now, in partnership with Real Japanese Gardens, her wish is to spread the magic of Japanese gardens to the rest of the world."